Among the many blessings I was grateful for on Thanksgiving of 2006 was the re-discovery of a friend. The fact that the friend lives in Ireland made it even better. Across the street was the Blarney Rock pub, just fifty yards down from Holy Cross Catholic church. My search for spirituality ping-ponged between those two institutions; mass in the morning and halcyon nights and earlier mornings at the Blarney Rock. My shaman at the bar was Mike Monaghan, a lad from the old country who’d just gotten married himself. Mike the bartender was from Galway and his wife Cindy waited tables at the Rock. Blarney Rock was a beacon of bonhomie late at night after trodding the boards of 42nd Street. It was cheap, close to home, and they served food as well as booze. They had steam tables and the guy with the paper chef hat would carve up your sandwich or whatever you wanted: mostly meat ‘n potatoes dishes. And then there was the lad from Galway, skinny then with big ol’ glasses. “How are ye Mike?” he’d say through a wise guy grin as he put my glass on the bar. And I’d go home. I finally did get the fook out of New York in ’85. Twenty-six years ago. My old pal Mike Monaghan. Well I wrote back immediately and within about a half hour of back and forth blarney we were on the phone talkin’. It was later at night for Mike, so he was pretty talkative. We updated each other on our families, both proud to be married to the same women. These days, that’s a feat. When my wife was pregnant with our twins in New York she wore her grandmother’s big old camel hair coat. It was warm and roomy and sat in our closet til Cindy was preggers with her own twins and we handed it off to her. I told Mike I would have to come to Galway and get that coat back. And we did indeed. Mike told me on the phone, “When you come to Ireland, I’ll be your Barry Fitzgerald.” Both sets of twins were now grown men and we could all drink together! 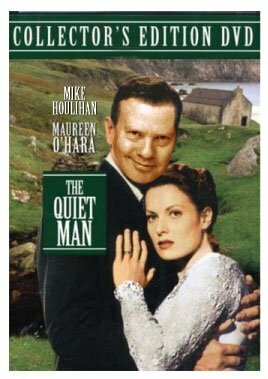 As we sat in Mike’s living room just outside Galway after a dinner of Irish stew, Mike popped The Quiet Man into his VCR and we quoted the lines as we celebrated the reunion of a couple of Irish cousins. You always have friends in Ireland, but discovering them again is a blessing. 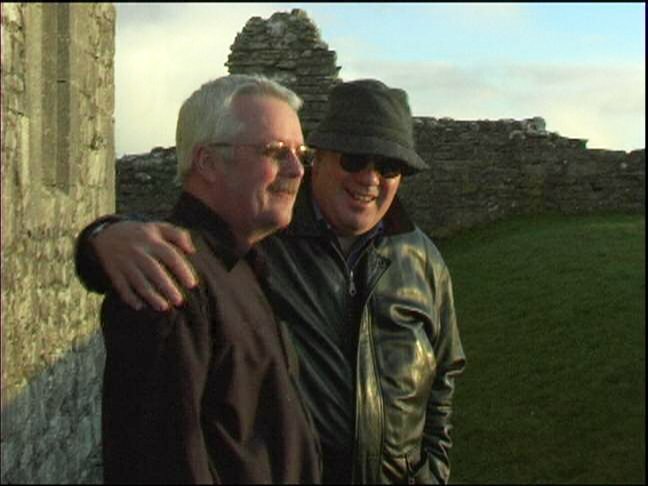 It’s one of the high points on our journey in “Our Irish Cousins”, when cousins reconnect after 26 years.